Mount directly to the display module or mount remotely. Fast smooth mechanical pointer indicates glider vertical motion. Output user-configurable to accommodate any sailplane and any pilot preference. Fully compatible with the ClearNav display. Integrate with other moving map/glideslope devices. CLUB and CROSS COUNTRY models. State-of-the-art total energy variometry for climb and cruise. Rapid, but well damped response. Most set values persist until set again. GET HOME screen with navigation and glideslope information to the point of takeoff. A simple user interface and PC editor make it easy to use and easy to configure. CAI Dataport for third-party devices to use GPS, airspeed, and altitude data, and to send task declarations to the Flight Recorder. 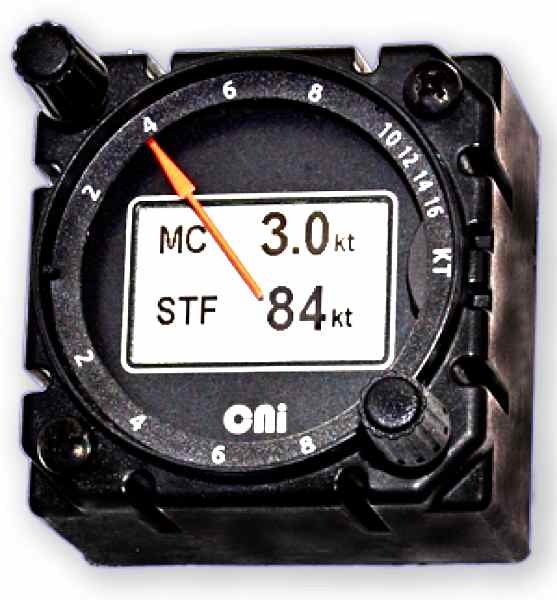 When connected to a ClearNav display, MC, bugs, and ballast values are synchronized and tasks may be copied to the vario for an independent navigation backup. pilots confirm the uncanny ability to respond to lift without the frequent false alarms which plague other fast varios.